Spring has come early for most of us this year. The worst snow season in memory is now just that – a memory. Some landscapers who never stay busy in the winter were able to do so this year and most everyone is getting an early start this spring. We are continuing to see the effects of a strengthening economy on the merger & acquisition marketplace. There are many groups interested in investing in the green industry and more companies are willing to talk than in recent years. We continue to see the prospects for the coming year to be encouraging. This month, we take a look at the question of the balance between organic growth and growth through acquisitions. Our view, of course, is that organic growth is great when you can get it, there is often a role for growth by acquisition. We believe that strategic acquisitions can play a role in spurring organic growth.Several interesting acquisitions were reported this month. We see both private equity and facility management companies continuing to invest in the green industry. It seems pretty simple to many people. Organic growth must be a better strategy than risky, expensive acquisitions. Of course, organic growth is often the best strategy. Organic growth makes sense when your business is growing or you can stimulate growth at a rate that meets your objectives, when it can be achieved at a reasonable cost with manageable risk and if your timetable permits it. In other situations, it may be wise to consider acquisitions as a vehicle to drive growth. Sometimes very successful companies become overconfident of their ability to grow organically and, as a result, take on too much risk and miss out on opportunities. For example, some otherwise very successful companies have added branches without acquisitions expecting to grow their business and have run into unexpected roadblocks. The newly opened branches may not be successful and losses incurred in an expansion drive can threaten the prospects of the base business. Here are some examples of situations in which considering acquisitions makes sense. Geographical expansion – Geographical expansion can be very risky. In its simplest form, you might identify an area to expand into, rent a facility, acquire equipment and hire a staff in the expectation of being able to attract customers. That process is risky indeed and usually is going to produce start-up losses, even if the new business location is launched successfully. Some businesses may be in a position to absorb start-up losses. Many will not be. In addition, there are many factors, of course, that may affect the success of the new location, but success is rarely assured. A strategic acquisition may allow a company launching a geographic expansion to absorb the acquisition’s customer base and reach a critical mass in the market much more quickly and with less risk of failure. Reaching critical mass – A business may need to grow to reach a level of critical mass, a level at which overhead is covered and the business can reach or significantly enhance profitability. An acquisition may significantly shorten the time required to reach critical mass, allowing the company to attain profitability and pursue its other objectives. Enhancing Profitability – Beyond just reaching critical mass, an acquisition may enable a company to enhance profitability. For example integrating overlapping customer routes may produce a higher level of customer density and greatly enhance productivity by reducing drive time. It may also improve purchasing power. Adding a Service line – An acquisition may be an attractive way to expand the service offerings of the business. For example, a landscape maintenance company might acquire an irrigation business to jump start its entry into irrigation services. Not only might they gain a profitable customer base, but they might be able to add experienced personnel at the same time. When Organic Growth has Stalled – An acquisition may be an attractive option when organic growth has stalled. Solving a Problem – Sometimes a strategic acquisition can solve a problem that has developed within a business. One example that comes to mind is a business owner who has no clear successor in place. An acquisition may be able to bring a new leader into the organization that may evolve into a logical successor. There are many other possibilities. Extraordinary Opportunities – Some acquisition opportunities don’t fit into any of these categories. An opportunity may come along that just can’t pass by. One reason is that it is pretty difficult to find high-quality acquisitions. Most business owners in the green industry are not in a hurry to sell their businesses. When a high quality business becomes available, even when you are not really looking for an acquisition, it may be a good idea to take a look and consider the possibilities. If you find yourself in any of these situations, it may be wise to at least consider acquisitions as a vehicle for growth. An acquisition may even serve as a “tipping point” that sets the stage for stronger organic growth going forward. Here’s the monthly recap of plublicly announced merger & acquisition transactions in the green industry.  McKinney Capital of Birmingham, Alabama has acquired Landscape Workshop, the largest landscape company in Alabama. This is the second acquisition in the landscape space for McKinney. In September 2011, McKinney acquired Environmental Landscape Services of Memphis, Tennessee. READCO, based in Old Lyme, Connecticut has acquired The Yard Group. In connection with the acquisition, READCO, a real estate management firm, combined its existing landscape operations with The Yard Group. The Yard Group now operates under four brands, B&B Landscaping, Burhoe Landscaping and Lawncare, Connecticut Homescapes and READCO Landscaping. Bartlett Tree Experts has acquired the business operations of Tree Medics of New Orleans, Louisiana. With the addition of this new location, Bartlett now operates in 26 states as well as Canada, Ireland and Great Britain. The Greenery, an employee-owned landscape services company based in Hilton Head, South Carolina, The Greenery, an employee owned company, has acquired Mazzanna’s Lawn & Landscaping of Beaufort, South Carolina. Gridiron Capital of New Canaan, Connecticut, has acquired Quality Solutions, Inc. of Wichita, Kansas. QSI is a facilities management company focused on the retail and food service industries. QSI includes landscape services on the menu of services it offers its clients. Yellowstone Landscape Group is also a portfolio company of Gridiron Capital. Register today – space is limited. Click here to register. John Warrillow, the bestselling author of Built to Sell: Creating a Business That Can Thrive Without You, will lead a one-hour presentation on building a sellable business. Built to Sell was ranked by both Inc and Fortune Magazine as one of the best business books of 2011. During this unique session, John will present the six steps to making a business sellable and discuss the principles of increasing the value of your company – John will also take your questions directly. The webinar will be Wednesday, March 28 at 10:00 am CDT. Be sure to list The Principium Group as your advisor when you register. Have you wondered just how sellable your business is? Here’s a chance to find out. Take this quiz and find out your business’s sellability score. You’ll receive your Sellability Score immediately, and then we will send you a 24-page report that provides additional feedback and schedule a complimentary phone call to discuss the results. As an added benefit, we’ll also send a PDF e-book copy of Green Exit—Exit Planning for Lawn and Landscape Business Owners to everyone who completes the Sellability Score quiz.